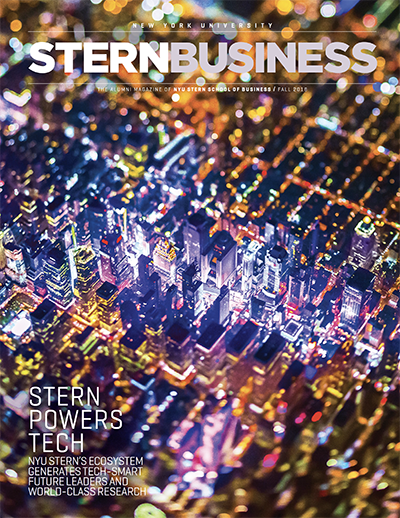 Mirela Mitan, MBA '14, was confident when she applied to NYU Stern’s Executive MBA program that she would learn the entrepreneurial skills she needed to market a novel skin-care product she had developed in her laboratory. “I knew from day one what I wanted, I just didn’t have a clear vision of how to get there,” she said. 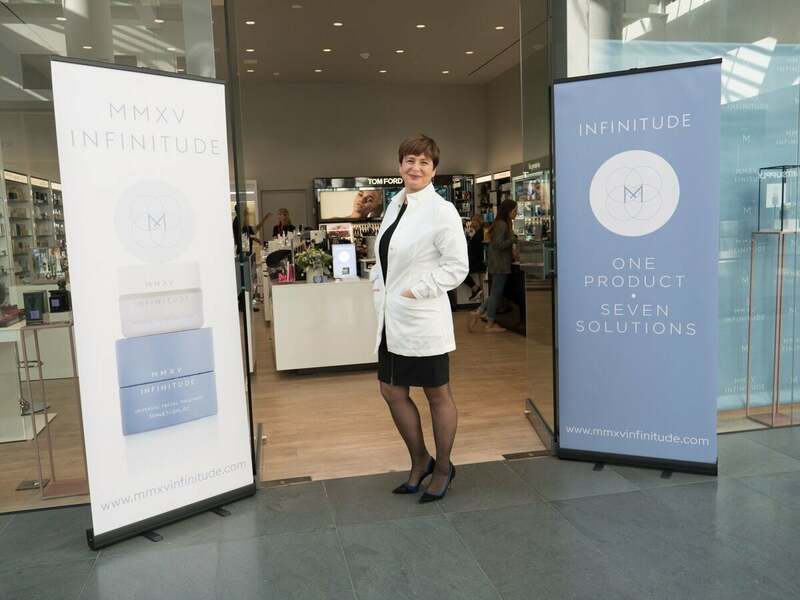 Three years after Mitan graduated, one of the most exclusive retail stores in the world featured her MMXV Infinitude™ facial cream at its cosmetics counter on New York’s Fifth Avenue. Mitan’s story begins in Romania, where she was born in 1970 and lived until emigrating to the US at age 30. As was the case with most Romanians in that era, under the notorious dictator Nicolae Ceausescu, necessities like food, clothing, and electricity were hard to come by but education was virtually a national imperative, Mitan said, and by studying during the wee hours of the night, when industrial electricity usage dropped, she graduated from the University of Bucharest with a doctorate in biochemistry. “It was a tough, crazy time,” she recalled. 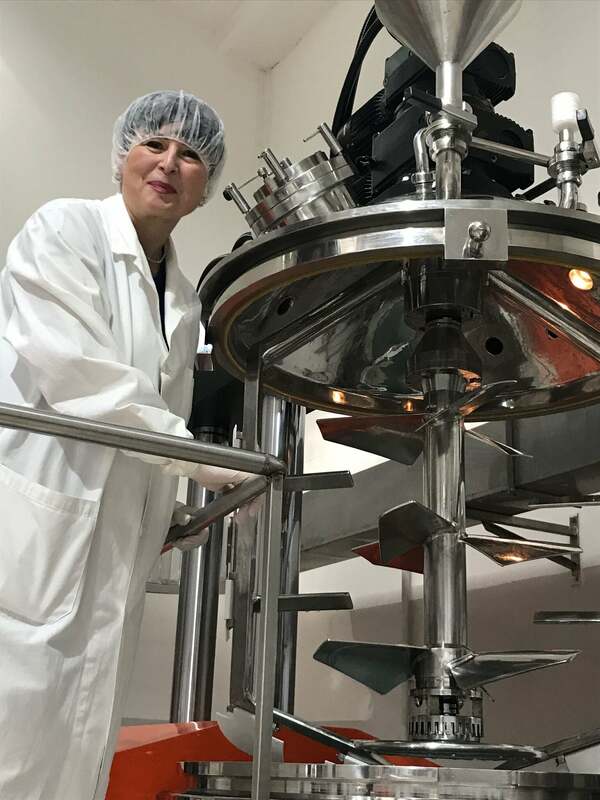 At the time, Mitan dreamed of working in the cosmetics and pharmaceutical industry in Romania, and she earned an additional degree in pharmacy. Her thesis had focused on the interactions of enzymes with natural extracts, and while doing research under a government research grant, she was hired by a supplier to produce active botanical-extract ingredients for Estée Lauder cosmetics in the US. She arrived in the US in 2000 and became the first employee of a small spinoff company established in New Jersey called Biocomponent Research. Working seven days a week, with her typical intensity, Mitan became frustrated with what she saw in the cosmetics marketplace. “There was a lot of redundancy that was very confusing for the consumer,” she said. “Eye cream, night cream, day cream, all had antioxidants.” She saw no reason one product couldn’t be used on different areas of the face—so she set about creating a universal facial cream based on a proprietary formula. In 2005, she founded a company, M&G Cosmetics, to consult for other companies as she developed her own product. Her formula contains natural active ingredients like Falernum grape and olive extracts, fermented white truffles, and hyaluronic acids, a combination aimed at hydrating, smoothing, brightening, and generally improving skin around the face and neck. “I was a scientist, but I needed to understand every part of the business, especially the luxury market,” says Mitan. But, Mitan acknowledged, it takes a lot to stand out in the clutter of the cosmetics counter, so she has set an ambitious goal of extending her line every six months. Next up, slated for Spring 2019, is a cleanser/toner and after that a sunblock and mask.